Newly-published National Achievement Rate Tables show that Nelson and Colne College has retained its position as the number one college in the country for 16-18 classroom and Apprenticeship achievement. In the tables published this week by the government, NCC comes top of the table for the second consecutive year for 16-18 classroom learning achievement, at all levels, and for 16-18 timely Apprenticeship achievement, at all levels. The figures are calculated from results achieved by students and Apprentices in the 2017/18 academic year. 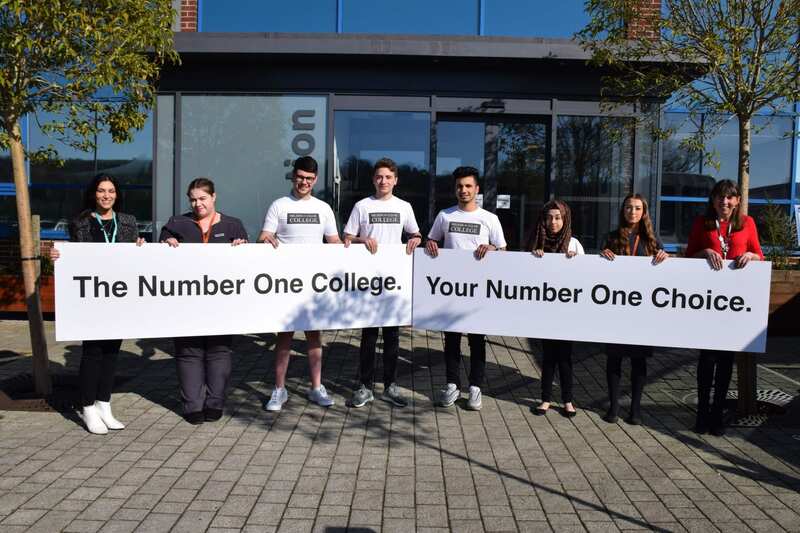 The newly-published statistics come hot on the heels of the Department for Education’s performance tables which placed NCC as the number one college in Lancashire for A Levels and vocational courses, based on progress scores. The college is also the leading FE College in the country for GCSE Mathematics, for progress, and second nationally for GCSE English based on the same measure. Principal Amanda Melton said: “It’s always pleasing for colleagues to be recognised by these league tables. But league tables do not tell the full story in terms of the impact of this College on students in moving to their next steps in work or at university. The exceptional progress in key subjects, across A Levels but also in Mathematics and English, including resit GCSEs, is something we have worked hard to achieve in recent years. In particular, Mathematics and English are the subjects which inhibit development of successful careers when the skills are not properly grasped and practiced. “Likewise, those 16 to 18-year-old students who opt to undertake an Apprenticeship with one of our partner employers experience exceptional success – these new college league tables place us top nationally for this measure. Nelson and Colne College will deliver the new T Level qualifications from next year as part of our commitment to ensuring that our students’ studies are relevant and equip them for the fast developing workforce and requirements of the UK economy. In its 2017/18 results, NCC achieved a 99% pass rate at A Level and a 99.6% pass rate in advanced vocational courses. One in five leavers once again progressed onto a Russell Group university, including Oxbridge. The college is also the best college in Lancashire for student satisfaction, according to the FE Choices Learner Satisfaction Survey. Ishaq Akbar, 18, progressed on to University College London to study Mathematics after gaining A*AA in his A Levels in Mathematics, Further Mathematics and Physics at NCC. Faye Hartley, 19, took up a Higher Apprenticeship in Merchandising at leading Tesco brand Florence and Fred in London after achieving Triple Distinction* in her Level 3 BTEC Business course. Jon Lambert, 19, formerly of Ribblesdale High School completed his Level 3 Apprenticeship in Catering at Grassington House through nelson and Colne College and is now working full time at the restaurant. A Year 8, 9 and 10 Open Event will take place at Nelson and Colne College on Tuesday 30 April from 5.30pm until 7.30pm. This is a great chance to learn more about the college’s provision and extracurricular offer, to tour the campus and view its high-tech facilities, and meet expert tutors and members of the Careers Team. Visitors can also take part in a range of exciting ‘have a go’ activities. This year’s Vocational and A Level results will be announced over the Summer, with A Level Results Day taking place on Thursday 15 August. Students wanting to enrol at NCC for a September start can do so from Thursday 22 August – on GCSE Results Day.